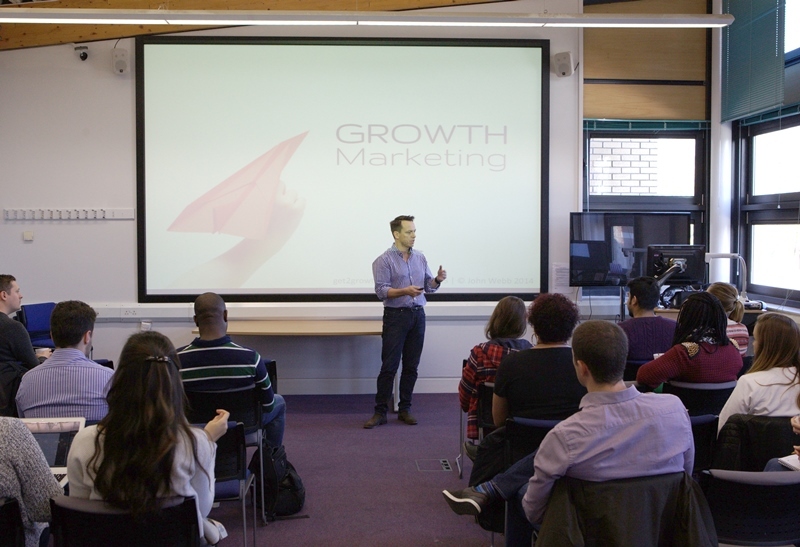 In October, we were fortunate enough to hear some marketing and startup advice from the Marketing Director for Startups at Rackspace, John Webb. For those who missed it, John talked about the importance of startups following the right steps, setting the right goals and focusing on the customers’ needs and desires over anything else. Fact: Out of all startups that have failed, 70% of them fail due to premature scaling. Startups fail because they spend huge amounts of money and time trying to scale before they have perfected their product/market fit – make sure you are solving a real problem in a way that creates value for your customers before transferring your efforts to marketing. For more information visit John Webb’s website, Get2Growth. Rackspace is a managed cloud computing company with offices worldwide.